Following the traditions around the Day of the Dead in Mexico, this year my wife and I decided to set up an altar dedicated to our beloved ones who are not around anymore. The altar includes different symbols including the four basic elements (water, fire, air and earth); pictures of the remembered ones; their favourite food & drink; skulls representing death; a special bread prepared around the day of the dead (pan de día de muerto); flower; confetti; copal and incense. According to pre-hispanic cultures in Mexico, Day of the Dead altars act as a gateway between the material and the spiritual worlds and help guide the souls of our beloved ones to visit their families during the Day of the Dead. 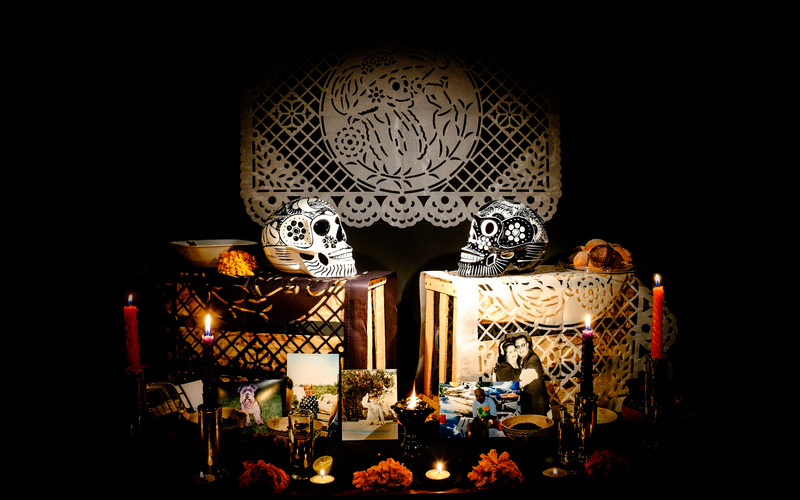 Regardless of each person’s beliefs, setting up Day of the Dead altars is a beautiful way to remember and to honour those that are not around anymore.